Our newest serum is now an award winner! We were jumping out of our skins with excitement when we heard that Fairy Godmother Serum #1 was announced EDITOR'S CHOICE in the 2019 Beauty Shortlist Awards last month. It's like a dream come true - to have our beautiful little Australian creation hobnobbing it with leading international serums and taking home an accolade!! "This new super-drink for skin will feel like manna from heaven for anyone who loves the hydration/nutrition/advanced performance factor of serums, without any heavy-ish oil factor." You don't need to add the serum to your cart - just head through and click the CHECKOUT button and a window will pop up asking you to choose the serum that suits your skin type best. Ready to find out more about these gorgeous serums? "A dream serum for those who prefer a lighter style serum that still works hard, delivers serious hydration and is powered by plants - definitely one for the "must-try" list!" * Terms and Conditions: Free Fairy Godmother Serum (30ml) offer is valid for all orders over $80.00 AUD placed during the promotion period. The free product is valued at $79.95 AUD. Offer starts 5:00pm Saturday 6 April and ends 5pm Tuesday 9 April, AEST unless extended. No discount code required! No rainchecks sorry. Stock is strictly limited. Offer minimum/maximum purchase amounts do not include discounts, shipping, handling; items noted as not eligible; or items that are not in stock at the time of purchase. Offer applies to automatic deliveries processed while this offer is running. Offer cannot be applied to previously placed orders. We reserve the right to cancel any order due to unauthorised, altered, or ineligible use of offer and to modify or cancel this promotion due to system error or unforeseen problems. 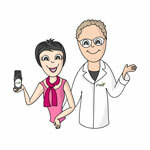 Ongoing offers on happyskincare.com.au are subject to change without notice. Excludes wholesale orders. Limit 1 free gift per customer. This offer is not to be used in conjunction with any other offers. Enjoy!